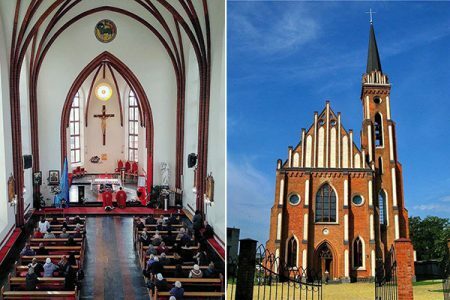 St. Joseph’s Church in Hnivan, in the Diocese of Kamieniec-Podolski, was particularly important for the Oblates in the early 1990s. 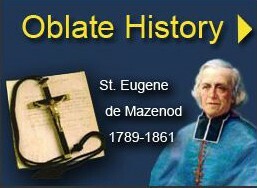 It was there that, in 1991, the first permanent Oblate outpost in Ukraine was created. After considerable difficulties, the church was returned to the Catholic Church, rebuilt, and solemnly re-consecrated in September, 1997. On March 16, 2019, the church will be officially recognized as a missionary sanctuary. It is worth noting that it will be the first of its kind in Ukraine. This distinction came in a rather unexpected way. During last year’s indulgences, the Bishop asked the faithful gathered in the church: “Are you open to the idea of creating a sanctuary here?” Then all God’s people unanimously answered “Yes!” The desire expressed by the bishop and the faithful can be read as an expression of the will of the Lord God who wants to receive even greater worship here through the intercession of Saint Joseph. 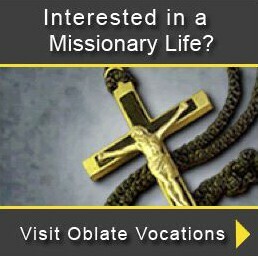 Thanks to the establishment of the missionary sanctuary, the services performed by the Oblates will certainly attract an increasing number of people. 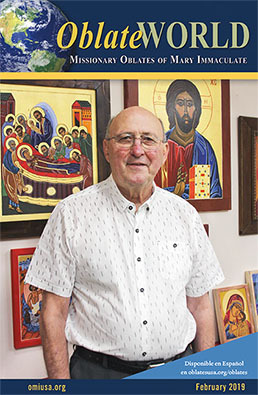 We hope the sanctuary in Hnivan becomes a special place of prayer and help for families, as well as a place for building and strengthening their Christian identity. A special task of the Oblates will also be to play a positive role in the pursuit of Christian unity through prayer, and for this intention to spread the devotion to Saint Joseph, who is venerated by both the Catholics and the Orthodox. We are fully aware that we are at the beginning of a spiritual path of deeper involvement in the spirituality of our Patron Saint. However, our hearts are full of trust. We invite all of you to our celebrations, and we ask especially for your prayers for our newly emerging sanctuary.